Hi! I found this great product at AmTryke LLC, I thought you might be interested in it. Check it out! Head rest for 1400 Seat Back System. The 1400 Headrest fits the 1400 Seat Back System. This contoured head rest is easy to mount and adjust. 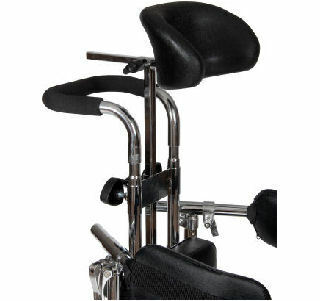 The headrest can be adjusted up/down and forward/back for optimal positioning. Measures 8 inches wide by 5 inches high.